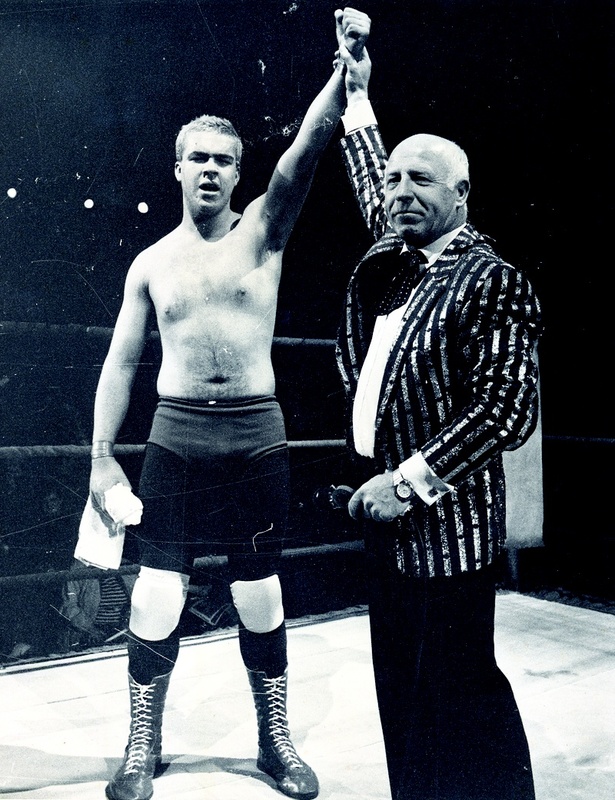 The countdown has begun for a new play which turns the spotlight on a Tyneside wrestling star. Gary ‘The Hardline Pro’ Davison was on the same bill as huge names like Big Daddy, Giant Haystacks and Kendo Nagasaki but despite rising to the top was forced to quit the sport due to an on-going spine injury. Now his story will be told in a no-holds-barred play called I Love Kent Walton, starring Micky Cochrane, at The Customs House in September. Kent Walton was the commentator whose Canadian lilt described the moves as Gary, glued to the TV, dreamed of one day becoming a pro wrestling star. Jarrow writer Tom Kelly has worked closely with Gary for the last year to tell his story, adding a love story into the mix in this compelling one-man show, which is being directed by the theatre’s Cultural Development Officer Fiona Kelly and produced by Executive Director Ray Spencer. Gary, 40, from South Shields said: “I feel very honoured that Tom and Ray are putting on a show about what I was involved with emotionally for so long and portraying that on stage for an audience. I still sometimes have to pinch myself that it’s happening because I’m really that proud of it. It really is something to have a play on about what you have have achieved and feel so strongly about. I have loved every minute of it. “I’ll have to be at every show because to me, even though Tom has wrote it, I feel so involved in it that it feels almost a pinnacle for me almost, in the sense of the achievements. Gary’s love of wrestling began at an early age, watching it on TV before it was taken off air in 1988. And soon Gary was determined to reach his dream, and with the help of his aunt managed to track down promoter Max Crabtree. “When I met Max for the first time I had more enthusiasm than physique, he knew the American wrestling was making inroads at the time so he said to me I needed to look at bit more like them, be more of the finished product with more muscle. I had a couple of matches for him but I went away for a while and came back as the finished product and that’s when it really took off. “I was 16 when I had my first pro match. It was at Temple Park and it was terrible because I couldn’t wrestle. Wrestling is something that really need to be experienced to be understood, it’s okay sitting and watching it but when you step between the ropes it’s a different world. You’re not far from the crowd but you may as well be a planet away because when the bell rings you are on your own and you have to know what you are doing and if you don’t, you’re going to get hurt. And as a result, Gary certainly took a few knocks along the way. He added: “The top of my spine was almost crushed like an accordion when the British cruiser weight champion took me up for a suplex but lost his footing and fell forward. I went down head-first and he fell down on top of me. That was basically the injury that was the beginning of the end for my wrestling career. You have to be injury free to take the bumps and knocks and if you have a nagging injury that’s overwhelmed you, you can’t take those bumps so easily anymore and wrestle a fluent match. “I took some time off because I had to try and lick my wounds a bit and retreat. I came back after about a year-and-a-half, but by that time Big Daddy had died and Max, who was his brother, began to wind up the promotion so I wrestled for different promoters and carried on up until 2000. My last show I did was at Whitley Bay Ice Rink. While working with Tom, Gary has found a new love in writing.